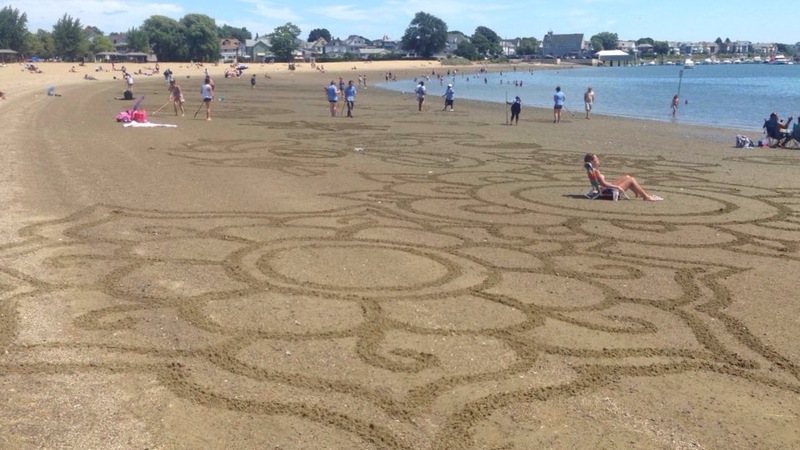 This past weekend I had the pleasure of participating in a community art project in East Boston. Sand raking artist Andres Amador lead a quick workshop on how to use the sand rakes we provided, and he gave us a few henna-type flower design templates to model our creations after. 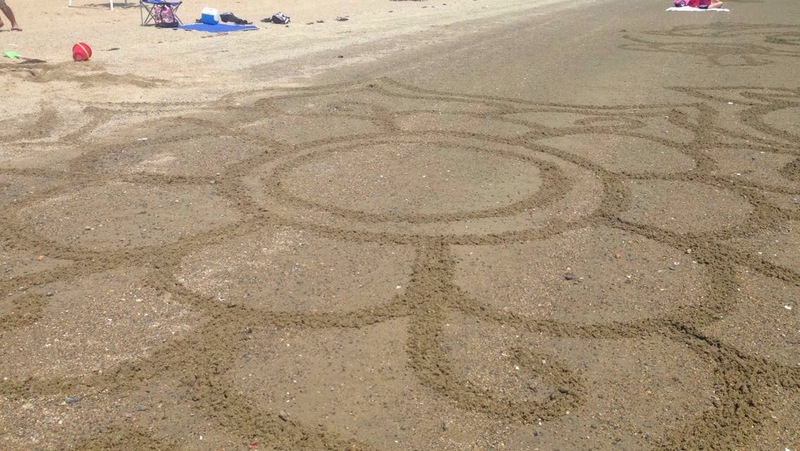 The idea was at the end of the day, from far above, the whole beach would look like one giant garden full of beautiful flowers. 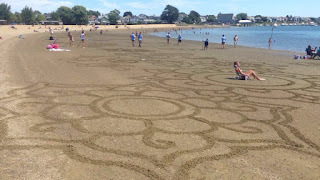 My prior experience sand raking involved drawing a basic flower and maybe my name at Carson Beach. It wasn't until this day that my eyes were opened to the potential beauty waiting to be created by a simple garden tool attached to a broom handle. 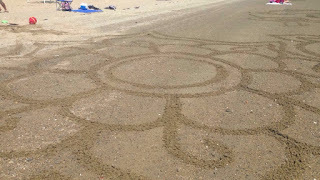 And so, I took off to create my first true piece of sand raking art, and I was very pleased with the result! Just a small bit of all the artwork - I'm only so tall! Despite this being one of the hottest days I have experienced while in Boston (keep in mind, I'm from Alabama and I'm used to heat! ), this day and this experience was a true treasure. While sand in itself is an art, I was so impressed to see a hint of what could be further created with sand.